This sounds like a dream, but UK-based company Cella Energy claims to have developed a synthetic fuel that has no carbon emissions and would cost only $1.50 per gallon. The hydrogen-based fuel, which is created using a complex hydrides-based technology, has been in the works for over four years at Rutherford Appleton Laboratory near Oxford. The study was led by Professor Stephen Bennington in conjunction with scientists from University College London and Oxford University. The fuel was created by taking high-energy materials and encapsulating them using a nanostructuring technique called coaxial electrospraying. Early tests show that the fuel can be used in regular internal combustion engine vehicles without engine modification. If this fuel becomes a reality, it could stabilize the price of gasoline while cutting our dependence on foreign oil. It would also allow people to drive without making any changes to their vehicles and more importantly, without harming the environment. 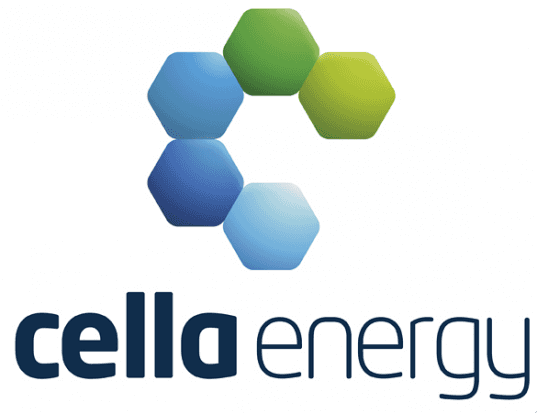 Let’s hope we hear more from Cella Energy. If they can truly hit their proposed $1.50 per gallon price point, Cella Energy’s new fuel could transform greenhouse gas-spewing autos into emission-free eco machines, significantly cutting their carbon footprint. Whats funny about your complaint is that it is completey possible that this and every other earth saving "elixirs" has been real. Your problem is the oil companies being able to spend the very dollars we pay them on sweeping things like this under the rug. Keep an eye on Cella Energy. While they have a chance to save us from the jaws of greed currently, the owner may very well sell out or suffer a hostile take over so they can be prevented from doing so. Sounds great. I'll believe it when I see it. Enough said. What bitter and disillusioned commentary from the both of you. Wow! @dim: Do you even know who Professor Bennington is?? Calling him a "lab technicianY shows a level of ignorance that is stunning. you might have Googled his name before making such an insulting and derisive comment. Start by going here and learn something: http://www.isis.stfc.ac.uk/People/stephen_bennington5778.html Beyond that, what is this "real legitimate progress" nonsense? What do you, or anyone outside of the process know of it's legitimate potential? i certainly don't and wouldn't be arrogant enough to posit at this point. The last time I checked, major breakthroughs in every scientific aspect tend to take place in a laboratory setting; so again, an ignorant level of understanding about the process. @larchygreg: Where is the "false promise"?? This an announcement of a new technology that stores hydrogen-based hydride compounds in permeable nanospheres as a delivery mechanism. How is that false promise, and how would you know? I have no clue so unless you were in the lab I suggest decoupling yourself from the herd mentality and not follow dim's viewpoint since he clearly lacks information on which to form his own opinion. Secondly, in relation to the environmental impact of driving and other transportation methods, what would you have the human race do? Teleport, which not a technological reality at this time, or hover about under their own power which isn't likely either? The reality is that our entire human world is built around transportation infrastructure. If you want to go back to the Middle Ages where we had little ability to efficiently move goods and provide services, we could do that, but be prepared for entire economies to shatter and ways of life that you depend upon to radically change. So your Utopian vision is unrealistic. What is realistic however, is finding ways to lessen our environmental footprint in terms of our world economic infrastructure. Like it or not, we are the dominant species on this planet and as such, we are charged with stewarding the environment in a better fashion than we do currently. Upon that we can agree. Thank you dim. I agree. The false promises like this do little but distract people from focusing on real solutions. I also take issue with the author's suggestion that, were this to become real and reach a meaningful scale, people could drive "without harming the environment." This is just plain scary. The very real threat of climate change is starting to significantly allow us to falsely believe (or falsely claim) that climate change is the only threat to the environment. Driving requires roads, which means habitat fragmentation and environmentally damaging techiniques for road construction and maintenance. Driving kills animals thought impact, driving separates populations of animals, driving moves people more often to farther apart structures which require more energy for heat and maintenance... my goodness, PLEASE tell me you don't really believe that tailpipe CO2 emissions are the only environmental problem associated with driving. Please! I hate stories like this. this is nothing but a lab technician working with test tubes spouting off about how their miracle elixer will save the world. I've heard this so many times over the past decade that i can't count. all this does is take attention away from the people who's work is making real legitimate progress. the proof is in the putting. get your product out of the lab and into real production with real world numbers and then I'll pay attention, until then keep your empty promises to yourself.